Augusta has a rich history dating as far back as the early 1700”s. 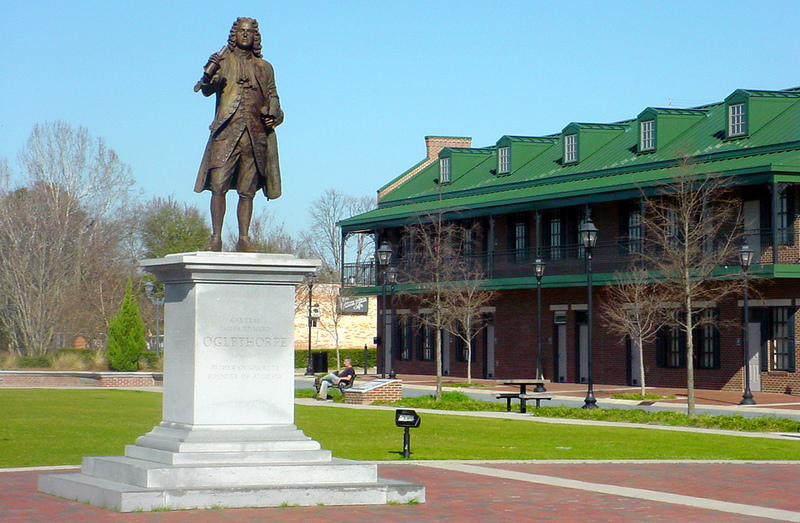 The settlement was established in 1736 by British General James Oglethorpe, and named in honor of the bride of Frederick Louis, Prince of Wales. Built on the flat slopes of the Savannah River, in the area now known as “Summerville”, Augusta was also home to many neighboring tribes of Creek and Cherokee Indians. A pivotal site during the Revolutionary and Civil Wars, Augusta also boasts the only structure ever built by the Confederate States of America, the site of the old Confederate Powderworks. With the construction of the Augusta Canal in 1847, Augusta became the second largest inland cotton market in the world during the cotton boom. Augusta has nine neighborhoods on the National Register of Historic Places, and several historic monuments and cemeteries. In 1996 the City of Augusta Consolidated with Richmond County to form Augusta-Richmond County. This consolidated governing body consists of a Mayor and 10 Augusta-Richmond County commissioners. Augusta-Richmond county is one of only three consolidated governments in Georgia. For information on current elected officials please see the Augusta Commission and Mayor sections of the web site. Augusta is perhaps best known as home of the Masters Golf Tournament held the first full week in April. The area is also a center for medicine, manufacturing and military.